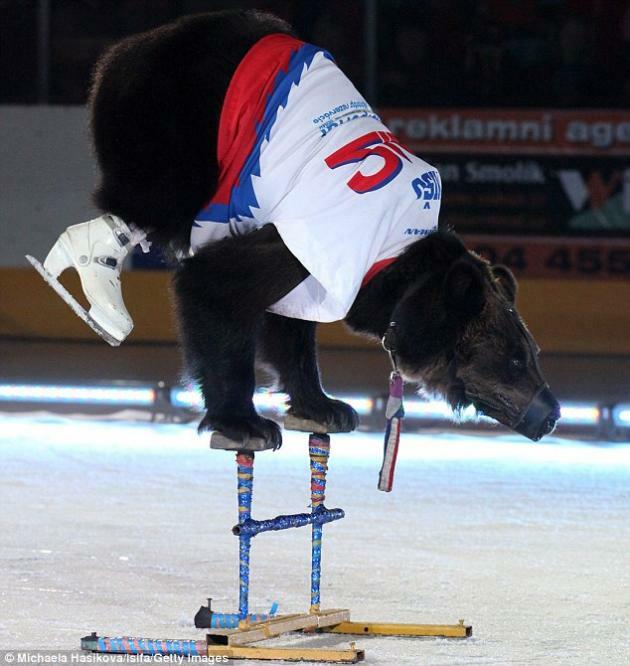 Shocking photographs taken in Jihlava, Czech Republic show bears as figure skaters with muzzles clamping their mouth shut and skating shoes that feel unnatural to their feet. The harsh reminder of animal cruelty and humiliation. 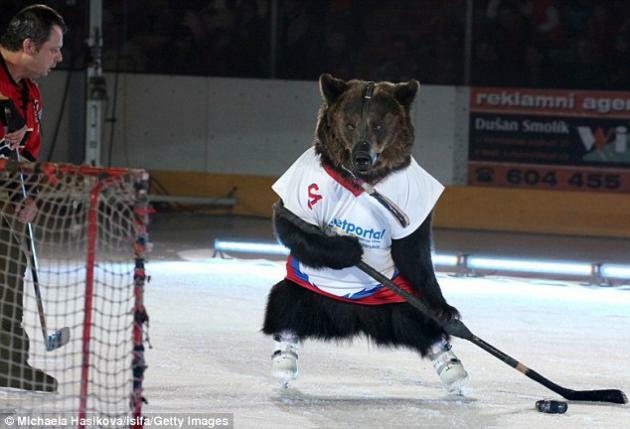 Brown bears are being trained to figure skate and play ice hockey as part of the Russian Ice Circus' touring show. As if it's not humiliating enough for the animals, the bears are made to perform routines which include handstands and other difficult gymnastic positions with muzzles to reduce any chance of trainers' injury. However, the muzzles are not always strong enough. One particular bear lashed out at his handlers and circus staff before a performance of The Russian State Circus Company's Bears on Ice show in Bishkek, Kyrgyzstan last month. Circus director Dmitry Potapov was dragged across the ice rink by the five-year-old animal, and "tore his neck and legs to pieces" which led to the 25-year-old's tragic death. The bear was later shot dead by local police. Other cases of bear killing humans have previously been recorded, but is it surprising that these animals turn their backs on us when we've so cruelly used them for our entertainment purposes?